Everyone loves an underdog, and nothing gives us warmer feelings than seeing someone get a second chance in life. A problem pup who flourishes under the right kind of training. The struggling veteran who finds unconditional love wiggling around at the end of a leash. The lonely child who finds comfort in the steady breathing of the warm, furry friend at her side. Each of us needs to be rescued from something–and each of us has the capacity to rescue someone, or something, else. 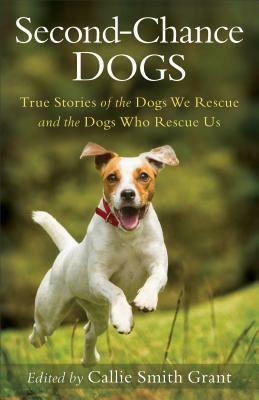 This collection of more than thirty contemporary, true, feel-good stories spotlights the beauty of being rescued–dogs rescued by people, people rescued by dogs, and even dogs who rescue other animals. It’s the perfect companion–well, besides the four-legged, tail-wagging kind–for your morning cup of coffee or an evening curled up on the couch. Contributors include Susy Flory, Dusty Rainbolt, Lauraine Snelling, Melody Carlson, Wanda Dyson, Suzanne Woods Fisher, and many more. Love dogs? This is the heart-warming collection of dog stories and the people who love them – my husband says this is the type of movie & book that I am always drawn to! Most of the stories are about rescued dogs – some “designer” dogs (one of a kind mixed breed dogs – used to be known as mutts!) and others purebred dogs – but there are also stories of therapy dogs, seeing eye dogs and plain ordinary dogs who love their humans. These dogs add so much to our lives and the stories showcase just a few of them. I particularly liked the story of the rottweilers who took care of a little girl. I received a copy of this book from Revell Publishers. I am freely writing a review – all thoughts and opinions are my own. 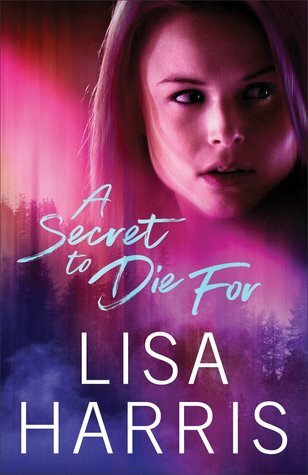 Lisa Harris writes suspense books in which the action never stops, and the twists and turns are so unexpected! In this one, Grace is dealing with the loss of her daughter a few years earlier and Nate is coming to terms with the loss of his duty partner. Both are looking for answers and dealing with guilt. I liked Grace’s openness – “I don’t have an easy answer, Nate. I had to fight to find my faith again. 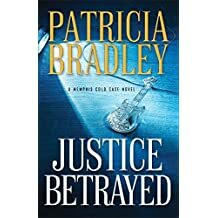 And there were times when all I wanted to do was walk away…” I loved this book and highly recommend it if you like suspense! I received a copy of this book from Revell Publishers. I am freely writing a review – all thoughts and opinions are my own. 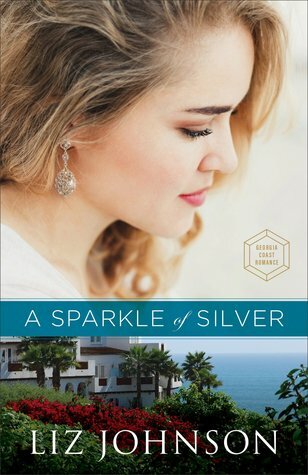 What a fun book to read – romance, forgiveness, secret treasure, the intrigue of the lavish roaring 20s parties and so much more! Yet the novel also portrays the difficulties and heartbreak of the disease Alzheimer’s. The novel is contemporary, set on St. Simon’s island, Georgia, but also, through diaries and letters, goes back in time to the summer of 1929. Was treasure really hidden there? Both Millie and Ben would like to find it! Great book! I really enjoyed it and recommend it! I received this book from Revell Publishers. I am freely writing a review – all thoughts and opinions are my own. The Author: By day Liz Johnson is the marketing director for a radio network. She finds time to write late at night and is a two-time ACFW Carol Award finalist. Liz makes her home in Tucson, AZ, where she enjoys theater, exploring local history, and doting on her nieces and nephews. She loves stories of true love with happy endings. Find out more about Liz at http://www.LizJohnsonBooks.com. How can a Christian justify going to war when God says, “Do not Murder”? The Amish especially eschew violence so when the call comes to join the Army, what does a young Amish man do? Jonas decides to go, leaving behind Katie, the young lady he desires to marry and whose family disagrees with his decision. I found this book interesting: the young Amish are very conflicted – do they follow their family/church beliefs, or do they support their country? At one-point Jonas says, “The war has brought out the worst in people, so that even here, away from the fighting, men still wage their battles.” I did find the book a little confusing – at the start of each chapter I had to determine from whose point of view it was written as it changed frequently from Jonas, Katie, their mothers or occasionally even someone else. I thought the battle scenes were really good, but it took so much of the book to get there. More than half of the book takes place before Jonas volunteers to become a soldier. I received this book from Baker Publishing. I am freely writing a review – all thoughts and opinions are my own. The Author: Jan Drexler’s husband of more than thirty-five years often says she’s never happier than when she’s in the kitchen cooking for someone, and he’s right. With her Amish and Mennonite ancestry and mid-American roots, Jan has always enjoyed cooking from scratch and sharing the subsequent goodies with friends and family. Jan and her family have lived all through the mid-west, from Indiana to Texas to Kentucky to South Dakota, with a few others in between. Born in Michigan, Jan still proudly carries her pocket map of Michigan on the end of her arm, like all true Michiganders, and will gladly give you a tour of her home state. But her current love is the Black Hills of South Dakota, where she can be found hiking the Hills at all times of the year and regularly visiting the “boys” at Mt. Rushmore. Jan brings a unique understanding of the Amish culture to her writing, with ancestors who were among the first Amish immigrants to Pennsylvania. She has written several books for Love Inspired Historical as well as “The Journey to Pleasant Prairie” series from Revell. Kim Vogel Sawyer is one of those authors that you know their book will be good – and this certainly was! I did think it started a little slow – Marty is grieving her inability to have a child and the growing distance between her and her husband. But as the book progresses, the author weaves in so many different topics – strong woman, vulnerable children, marriage relationships and friendships, cancer, and above all, the redemptive and transforming grace of God. 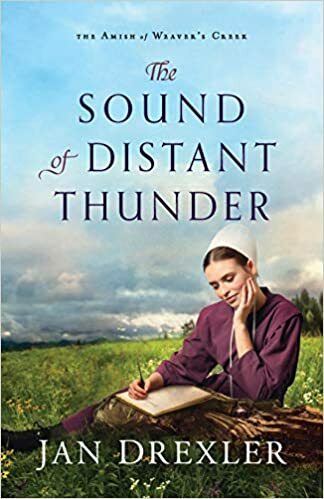 I don’t often read “Amish” books (this wasn’t Amish but instead Mennonite – and one of the characters talks about people not knowing the difference!) but I thought that the issues the lead characters, Anthony and Marty, face really transcend their Old Order Mennonite sect and instead are issues many Christians in general face. Great book and I highly recommend! I received a copy of this book from the publisher, Waterbrook Multnomah. I am freely writing a review – all thoughts and opinions are my own. The Author: Award-winning, bestselling author Kim Vogel Sawyer wears many hats. As a wife, mother, grandmother, song-singer, cat-petter, and active participant in her church’s music and women’s ministries, her life is happily full. But her passion lies in penning stories that share the hope we can all possess when we place our lives in God’s capable hands. She and her retired military hubby live on the beautiful plains of Kansas, the setting for many of Kim’s books. In her free time, she enjoys quilting, traveling with “The Hubs,” and spoiling her quiverful of granddarlings.